The Southfield City Centre district is the roughly triangular area defined by Evergreen Road, Interstate-696 and the Lodge Freeway (M-10). The district’s boundary extends outward from this triangle in two places to include Southfield’s Municipal Campus and Lawrence Technological University. Originally created in 1992, the Special Assessment District provides for the operation, maintenance, promotional and development activities within the Southfield City Centre District, including developing pedestrian amenities and facilitating economic development. The Southfield City Centre area has 13,000 office workers and five universities and colleges. 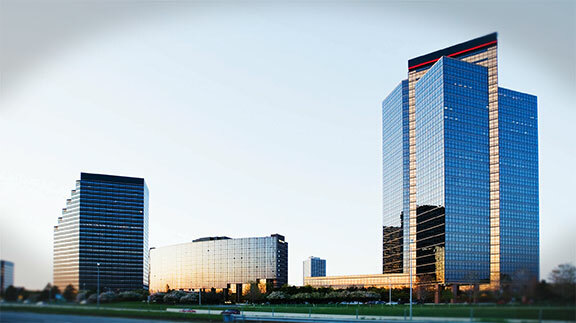 The entire City of Southfield is home to more than one hundred Fortune 500 companies. Businesses and residents are attracted to Southfield because of its central location, great public services, and easy access to freeways. For more information on the Southfield City Centre district, contact us.